The masterthesis of Aldi was about the „Individualization possibilities for Books with “Print On Demand” Technique“ and he developed a plugin for Open Journal System which allows the print of the personal book (see here a short movie). Die iPhone App iOJS hat ein grafisches Update und weitere kleine Verbesserungen erhalten. Das Ergbnis ist ab sofort im App Store iTunes verfügbar und kann frei heruntergeladen werden. 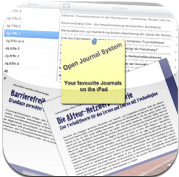 Damit kann man nicht nur L3T am iPhone lesen, sondern auch die Artikel anderen Open Journal Systeme die über das entsprechende Plugin verfügen. 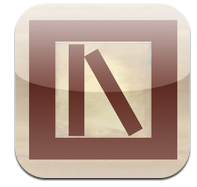 The iOJS app allows the user to store his favorite OJS journals into his iPhone. The user can then browser through all the issues and articles published by the journal, and download the attached files to directly read them on his iPhone. Furthermore, it is possible to directly send comments on articles to the server, if the user has a valid registration on the OJS server. For this to work, the OJS server has to install the iPhoneGatewayPlugin which is included in the application and doesn’t need any configuration. Nach der iPhone App gibt es nun auch für Android eine App mit der man auf das Open Journal System (und damit L3T) zugreifen und damit alle Artikel mobil beziehen bzw. lesen kann. Philipp Leitner hat dies im Rahmen seiner Bachelorarbeit umgesetzt. Die Arbeit ist ebenso wie die App online und steht allen frei zur Verfügung.